I was pleased to get news from Casamento this week, as they always seem to be coming up with new and interesting ideas. 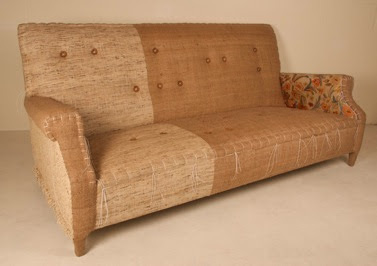 Casamento has been reupholstering vintage furniture for a while now, and have made a commitment to using natural fibres. They are now taking this a step further, with their new collection called Raw. 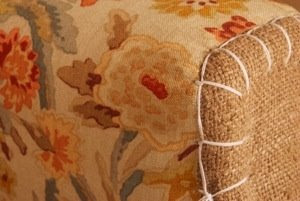 This recycled fifties sofa is the first in Casamento’s Raw range.It has been reupholstered in a mixture of raw silk, linens and hemp fabrics. At first glance, it appears unfinished, but a closer look shows you that it’s exactly the way it should be. 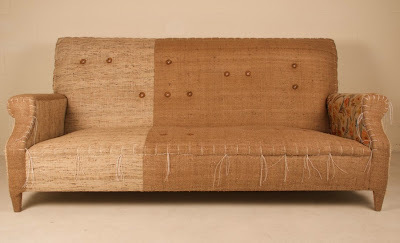 I saw this sofa at the Neighbourgoods Market last weekend, and although the fabrics look fairly rough, to the touch, they are silken, and the sensual contrast is enough to convince that this is something quite special. I’m looking forward to seeing what Casamento comes up with next, and will be sure to keep you posted!